Autologous stem cells treatment definitely hold a great medical promise with the added advantage in terms of being simpler, more predictable, long lasting, time and cost effective option available so far. Over the past two decades, advances in stem cells have garnered support from scientists across the medical community, and has become the most confabulated discovery. May it be the ethical issues related to the embryonic stem cells or the success rates of therapeutic applications of adult stem cells! Despite much of the controversy, the research has gained tremendous momentum and eluded many recent advances in treating a variety of diseases; although the principal behind it had been rooted way back in the ancient science of regenerating lost tissues. Although the behavior and mechanism of stem cells are globally under the intense scrutiny, people are no longer fantasized about the remarkable potential of stem cells and their therapeutic applications. However, there are still many unknowns that need to be understood. The current article can be referred as the quick fact sheet to understand the technology in better aspects. Stem cells are, essentially, the youngest cells of the body occurring as early as eight celled stage of human development. These are the body’s building blocks capable of generating an entire human being in vitro. These stem cells in each phase of their development from embryo to the adults lose their potency or ability to differentiate. The researchers and technology have identified many ways to isolate them from their sources, enrich the poor population in the laboratory and turn them into the desired cells to be needed by exposing them to a variety of chemicals mimicking different conditions of the body. However, speculations over the implications of stem cells and their applications is likely to be wide of the mark. Many of the private practitioners are claiming to attain a complete miracle after stem cell treatment. It is very important to understand the difference between the possibility, feasibility and efficacy. As it is obvious and equally inevitable in any rapidly growing field, there are many misconceptions about the nature and uses of stem cells, like these cells are immortal and hence unlimited supply of them is available for therapeutic applications. However the fact is that their lifespan is telomerase dependent and they are not actually immortal additionally their occurrence is very rare, almost 1 in 10,000 and hence enrichment of pure population is required. Secondly, there is a strong inclination towards stem cell banking, as they are known to be the easiest option available, however these stem cells are present in all mature organs and can be withdrawn from any point of time. Further to this, when these cells are banked how safely they can be stored and how their originality is retained is still questionable. Currently Bone Marrow and Adipose tissues are known to be the most accessible, potent and approved sources available, which can be easily exploited for treating variety of diseases. 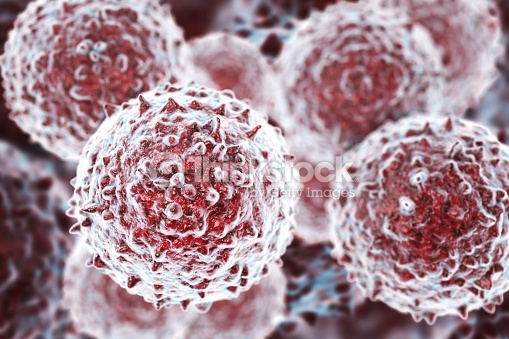 Lastly, there is a strong belief that embryonic stem cells is the most potent version of stem cells, however it has sparked considerable ethical and moral debate, these cells have also known to be having tumerigenic properties as the science has not been able to still find out a solution for controlling their unlimited divisions. On the contrary, adult stem cells are much specific and the most stalked for treatment purpose. As of now thus autologous stem cells are ideally suited candidates with minimum risk of immune rejection, less expenses and without any ethical or legal hassles. Again replacing the technological processes perfected by nature is the difficult task and hence in order to incorporate new technology into an effective therapy it should either be more effective or as effective as the conventional mode. In this regard, autologous stem cells treatment definitely hold a great medical promise with the added advantage in terms of being simpler, more predictable, long lasting, time and cost effective option available so far.